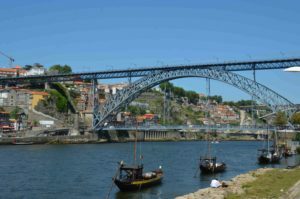 In June this year we visited Porto and Douro, starting with a few days in Vila Nova de Gaia and Porto and concluding with visits to some of the quintas in Douro. In Vila Nova de Gaia we had several fantastic and very well organized tours and tastings, but also a few drop by tastings at some lodges we had not booked in advance. Symington is one of the leading Port companies and has several lodges in Gaia. 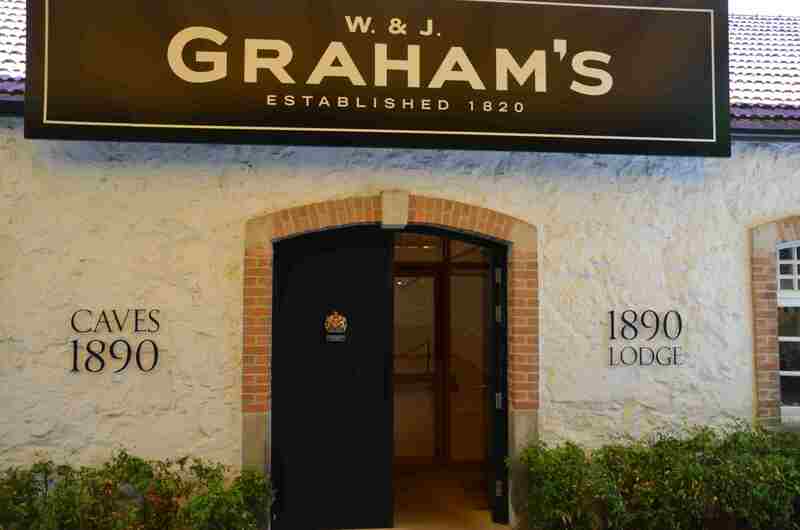 We visited Graham’s and Cockburn’s. 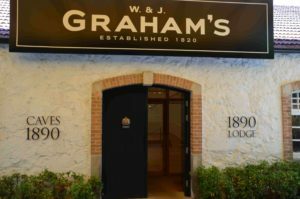 At Graham’s, that is one of the bigger lodges in Gaia, the tours are very professional and interesting and the tasting was very good. 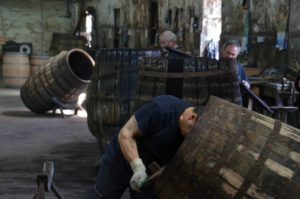 Cockburn’s new lodge offers also a very good tour and tasting and includes a very interesting view into how the coopers make or renovate the pipes, barrels and vats. At Barao de Vilar wine maker Alvaro van Zeller showed us their stock and bottling operation in Gaia. 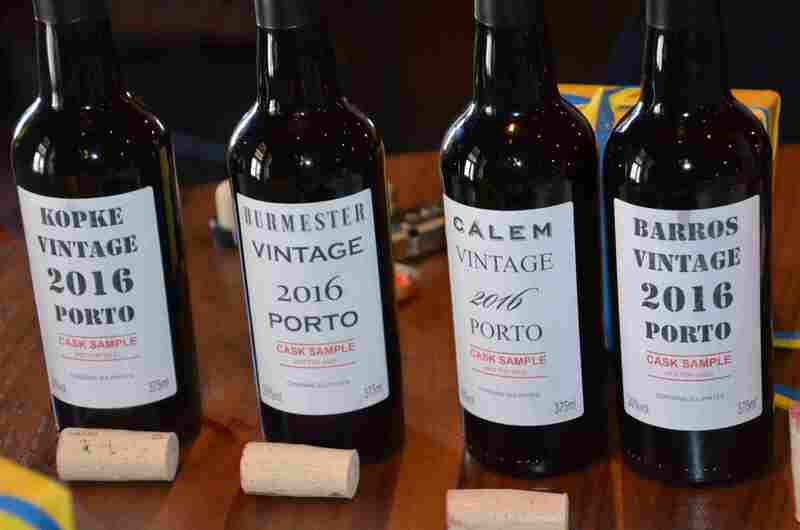 Barao de Vilar is much smaller as a company than the major port groups, but they are also one of the most creative. 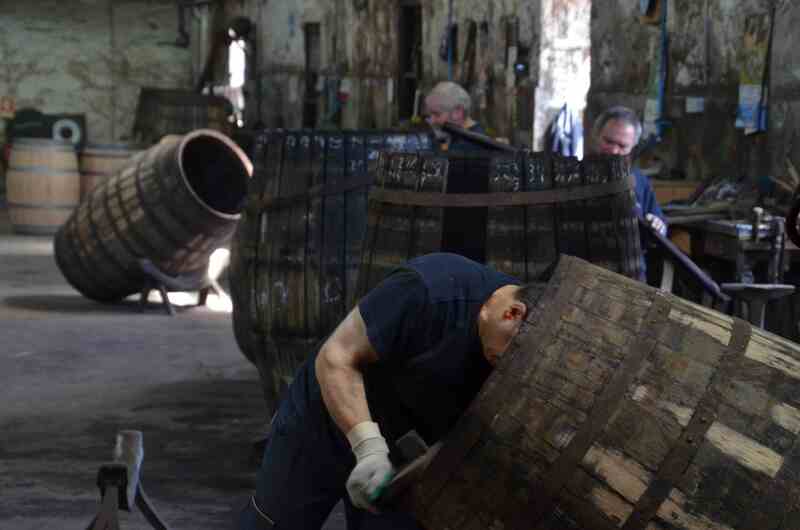 In order to make an impact they are making very clever packages and bottles, such as their 100 years tawny, consisting of four small bottles of 10+20+30+40 = 100 year tawny. Alvaro and his team also have a number of very old colheitas, of which we had the great honor to taste 1990, 1977, 1963 (Barao de Vilar vs Palmer), 1962, 1950, 1934 in addition to their vintage and white colheita. 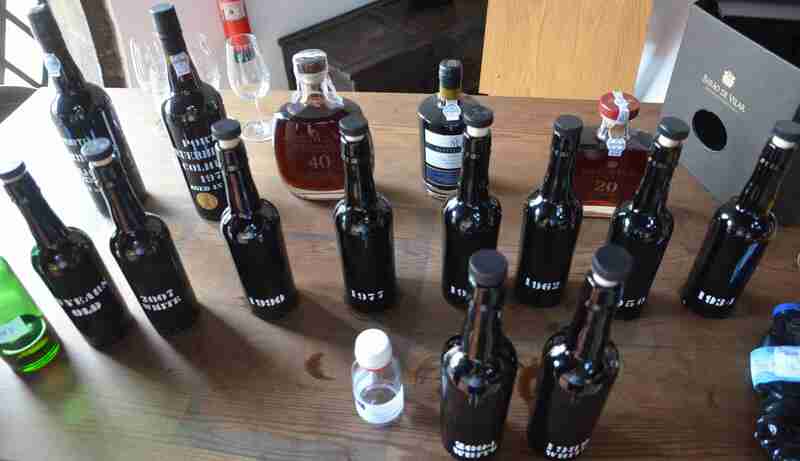 It was an absolutely amazing tasting which we will remember for a long time. 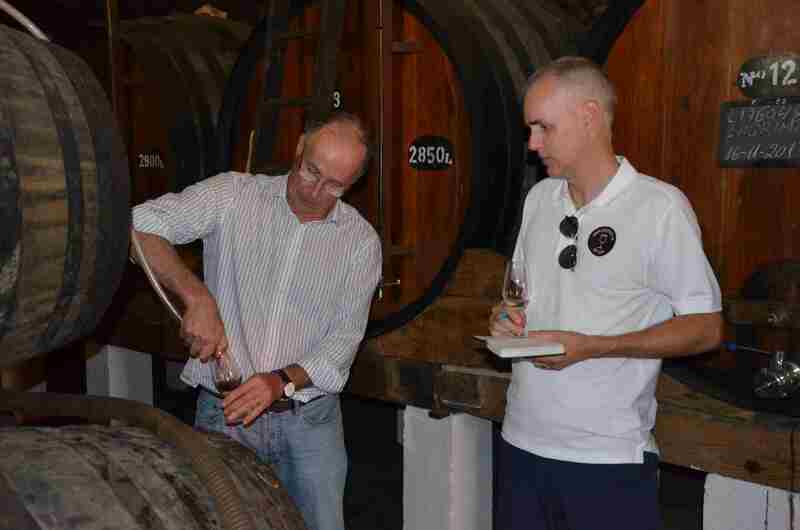 Sogevinus owns Cálem, Kopke, Burmester, Barros and some other brands. We visited the newly renovated and upgraded Cálem lodge that combines hi-tech presentation in combination with a traditional tour to provide a good experience. For example, they have a 5D-cinema experience. 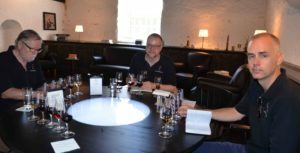 We had a very interesting tasting of their latest 2016 vintages as well as some fabulous older colheitas. We really appreciated to be able to taste their fine ports in the company of Sogevinus PR & communication manager Jose João Santos, Business manager Stefano Marello and winemaker Carlos Alves. Beautiful colours of Dalva and Cruz port wines. 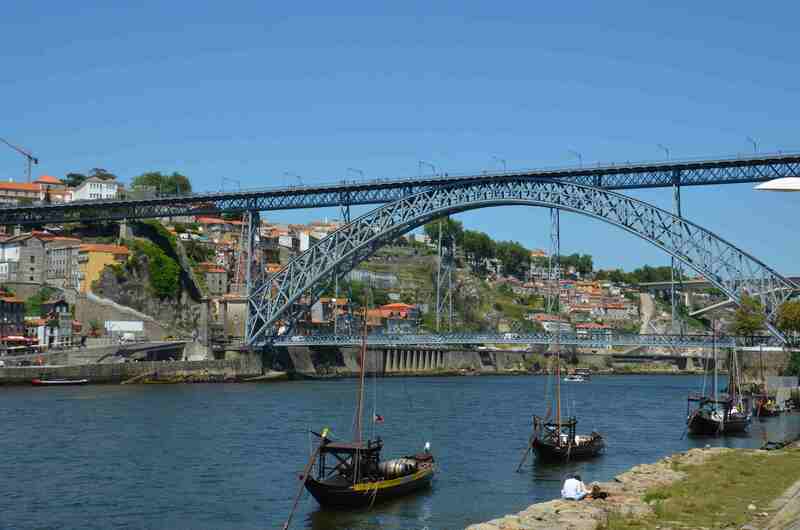 Cruz and Dalva are situated in the main square in Gaia, at Espaço Porto Cruz. Gran Cruz bought the company C. da Silva and their brand Dalva in 2007 and they are now both presented at Espaço Porto Cruz. At Grand Cruz you can have a meal in their restaurant or try a selection of their ports. We got a very good expose of Cruz and Dalva port including their fantastic white ports, Dalva Golden White, and Presidential Vintage 2011. Presidential is an alternative brand for Dalva used in some markets. 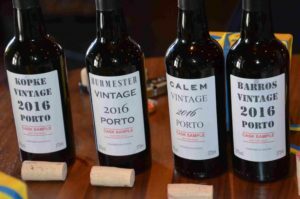 This entry was posted in Tasted Vintage Port, Travel and tagged 2016, 2016 Vintage Port, Alvaro van Zeller, Barao de Vilar, Barros, Burmester, Calem, Cockburn's, Cruz, Dalva, Graham's, Kopke, Presidential, Sogevinus, Symington on July 31, 2018 by Stefan.